A Virgin Australia plane had to make an emergency landing after passengers reported a “burning smell,” coming from the plane, according to multiple reports. 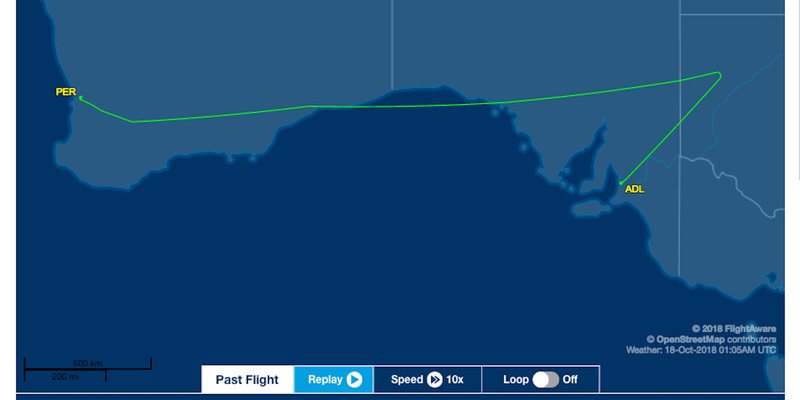 Approximately three hours into the flight the captain notified the rest of the plane of “an electrical issue,” and announced the plane would need to be diverted to Adelaide Airport. 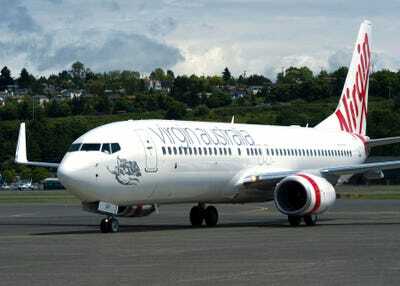 “The aircraft was met on arrival by emergency services as a precaution and all passengers and crew safely disembarked the aircraft,” a Virgin Australia spokesperson told WA Today. According to The Daily Mirror, approximately three hours into the flight the captain notified the rest of the plane of “an electrical issue,” and announced the plane would need to be diverted to Adelaide Airport, off the southwest coast of Australia, where it would land prematurely. Brian Pacus/Business Insider via FlightAwareA screenshot of the path taken by VA Flight 465 on Thursday, October 18. Virgin Australia did not respond to Business Insider’s request for comment. “In accordance with standard operating procedures, the captain made the decision to divert to Adelaide Airport as a precautionary measure after an odor was detected in the cabin,” a Virgin Australia spokesperson told WA Today, a newspaper covering Western Australia. “The aircraft was met on arrival by emergency services as a precaution and all passengers and crew safely disembarked the aircraft,” the statement added. In May, a similar incident of crew members reporting an “electrical smell” forced an Allegiant Air flight to make an emergency landing in North Carolina.